Get an Alpine County Traffic Ticket? You Can Beat It! Did You Get a Ticket in Alpine County, California? You can fight Alpine traffic tickets by getting them dismissed much easier than you may think. In Alpine, California, drivers are allowed to contest a traffic ticket using a Trial by Written Declaration. This is best way to fight a traffic ticket without going to an Alpine courthouse or hiring an expensive Alpine traffic ticket lawyer. We have found this to be the best way to contest a California traffic ticket, period. This option is available to every driver who receives a traffic ticket in Alpine, California. In fact, if you turn over your traffic ticket you will see that a Trial by Written Declaration is listed right on the back of your ticket as one way to fight it. This process has been around since 1978 to avoid having to pay traffic ticket fines. TicketBust has been helping California drivers prepare Trial by Written Declaration’s for over 14 years. In fact, tens of thousands of vehicle tickets in California have been contested using our system. We are the original traffic ticket fighter and the TicketBust system has been developed specifically to prepare all your documents properly based on how you answer a few questions. This way you can fight your ticket, knowing you have maximized your chances of having the court dismiss your Alpine County traffic ticket. TicketBust service will prepare your full defense package for you, which includes your Trial by Written Declaration and all the defense documents required by Alpine traffic court. Fill out the yellow form to fight your Alpine traffic ticket now! Did you know that you aren’t allowed to pass the white limit line when you are stopped at an intersection? From our experience, this can be a common ticket issued in the county of Alpine, so be on the lookout and stay behind that solid white line. If you find yourself having received a traffic ticket in Alpine, give us a call or fill out our form to see how we can help! Located between Yosemite and Lake Tahoe in the Sierra Nevada mountains, Alpine County is comprised of Lake Alpine, Hope Valley, and Woodfords. Alpine County is comprised of about 1,175 square miles and Alpine County received its name from the English word alpine meaning “of the Alps” due to its striking resemblance to the Swiss Alps. The first known inhabitants of the area were Washo people, excelling in basketry and spent summers near the shores of Lake Tahoe. The population quickly increased during a silver boom in the mid-1800s and by March of 1864 Alpine County was created. Yet, by 1868 the local silver mines had proven unfruitful and the population fell from roughly 11,000 to about 1,200, and by the 1920’s only 200 people remained. It wasn’t until the late 1960’s when the Bear Valley and Kirkwood ski resorts were constructed that the population finally began to increase. 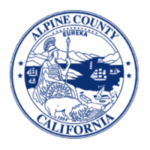 Still the smallest populous county in California, just over 1,200 call Alpine County home today. Alpine County is most popular for fishing, camping, hiking, rafting, skiing, and winter sports. Just 31 miles from South Lake Tahoe, many residents and tourists cross the state border into Nevada for casino gambling, live stage shows, and boutique shopping. Alpine County maintains its pristine natural environment while experiencing some of the best cultural, food and entertainment just a short drive away.